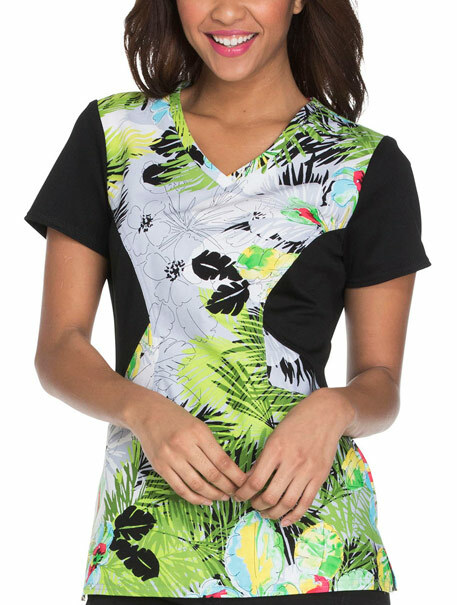 A Contemporary fit V-neck top features contrast sleeves and front-and-back contour side panels. Also featured are angled slit pockets with an exterior logo charm, side vents and double-needle topstitching. Center back length: 26"